MOPIX - Dokken Deadfowl Trainer. Natural game bird feel with free swinging head for added realism. 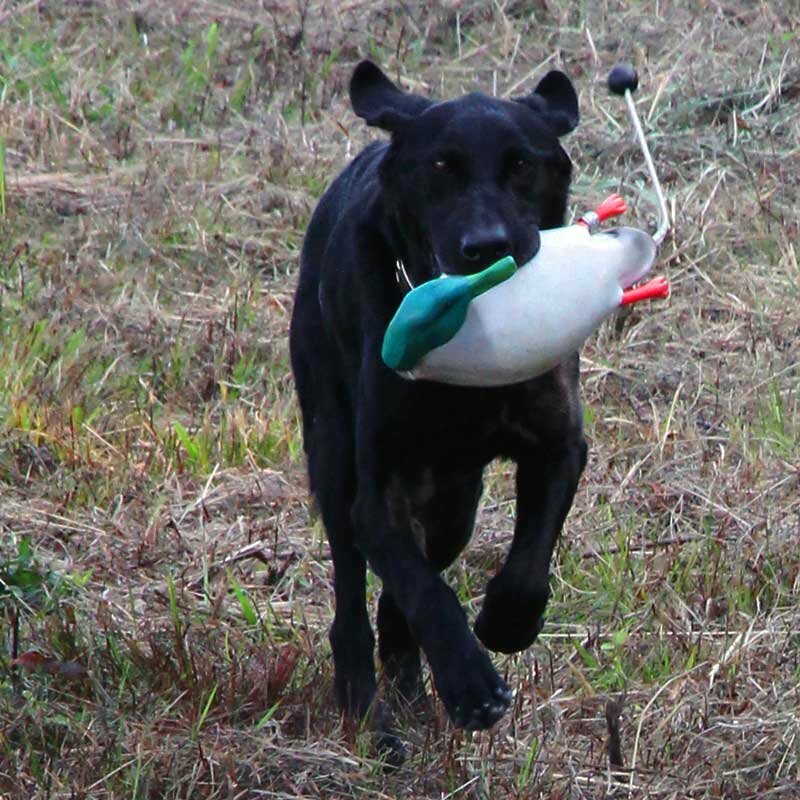 Customer Photo: Eric Teson's dog Ammo with "an old but durable Dokken Mallard."